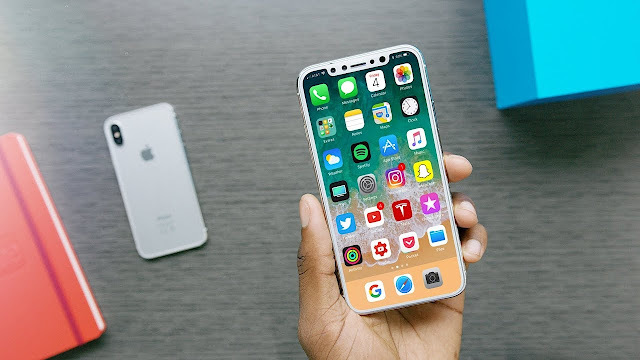 I will be listing 10 Incredibly Useful App for iPhone Users, this app are meant for every iPhone users for easy task and quick help to make you achieve a tasks quicker or effectively. Below are 10 Incredibly Useful App for iPhone Users. Scanbotis the easiest and fastest way to create high quality scans with your iPhone, iPad or Android device. When you scan a document, Scanbot makes hundreds of decisions to capture the document perfectly, crop the document, straighten it and apply the filter. Make your trip worthwhile with Google Trips for the iPhone. When you go on a trip, it has been said that you plan it like where you are going, what you will be doing and more so that you can make the most of your time during your vacation. Google Trips will help you make the most of your trip with automatic trip organization. You make travel reservations, organize individual trips with day plans, food and drink suggestions, things to do among others. This app also lets you book your flight to hotel to transport to restaurant under one roof. With this app, you can also find out if you are nearby a popular attraction, if they are open, its reviews and ratings. This app can also offer curated local suggestions on what you must do, go and eat. The app can also be accessed for offline use. Have more fun in your trip with Google Trips for the iPhone. With Dropbox, you can store your files in the cloud for safekeeping, and easily access them wherever you are and even share them easily with anyone, even if they don't have an account on Dropbox. The app allows you to access your files no matter what device you're using, and even if you're offline. It also includes support for Microsoft Office files, allowing you to create and edit them directly from your iPhone or iPad, and you can even scan documents to be converted to PDF files for instant uploading to your account. You can also share links to large files that others can download even without an account, and without having to resort to sending them as email attachments. Dropbox provides you with free storage right off the bat, and you can grow this through various options. With Dropbox Pro, you can purchase as much as 1TB of storage, and get more features as well. Any.do for iPhone is the best way to organize all aspects of your life in one place. Whether you’re working on a big project with your team at work, sharing a grocery list with your loved one or just jotting down your personal todo list - Any.do is here to keep you orgnized and productive. With stunning design, cross platform support, seamless sync and an awesome daily planner - Any.do is the most powerful to-do list app for iPhone. Any.do offers more useful features than any other to-do list for iPhone. With Any.do Premium you can fully customize your experience, easily collaborate on tasks and projects with anyone and start getting things done like a pro. AccuWeather provides users with timely and detailed weather forecasts, from 15-day outlooks to the hyperlocal MinuteCasts. Forecasts come with animated weather info, radar maps, and detailed forecast summaries. Extra features include AccUcast, a system for crowd-sourced warnings on hazardous weather and road conditions, as well as customizable forecast details, weather-related videos, and Apple Watch support so that you can get forecast info at a glance. 1. MinuteCast® – View minute-by-minute rain and temperature forecasts for the next two hours, hyper-localized to your exact location. 2. Keep out of the storm with pushed severe weather alerts. Track dangerous weather in real time with the AccuWeather animated radar. 3. RealFeel Temperature® – Sunny doesn’t always mean warm. AccuWeather’s weather widget shows you how the temperature actually feels outside. • View your Daily Snapshot when you open the app to find out what you can expect from the day’s weather, from temperature to wind speed. • Scroll through your Local Forecast Summary for highly accurate forecasts for the next two weeks, so you can plan your weekends around the weather. • Customize your AccuWeather interface: hide the details that aren’t relevant to you. • Keep out of the storm with pushed severe weather alerts. Track dangerous weather in real time with the AccuWeather animated radar. • Enjoy full Apple Watch support: receive MinuteCast®, RealFeel Temperature®, current conditions details & severe weather notifications straight to your Watch. LastPass keeps you protected. Secure your passwords, sign in to your sites with TouchID or generate new, strong passwords. With LastPass, you only remember one password - your LastPass master password. Keep your passwords secret, and use LastPass to automatically fill out your logins, wherever you go. Download our free app today and join millions managing passwords with LastPass – you’ll wonder how you lived without it! Optional PIN code, TouchID and offline options. Plan ahead and give trusted family or friends a way to access your vault in case of an emergency. Add security and require a waiting period during which you can decline an Emergency Access request to your vault. Once access is granted, your vault syncs as a folder to their vault. LastPass is free wherever you get started. To sync across devices, from any desktop, smartphone, and tablet, upgrade to LastPass Premium. Start your free two-week trial of LastPass Premium before upgrading. Business owners can download LastPass Enterprise to secure their business and share passwords safely among employees. With LastPass, keeping your password safe is as simple as one touch. Simply lock all of your passwords away in your vault, and use your LastPass password and Touch ID to sign in to all your accounts. Use LastPass for document storage, password protection or workplace security. Our password locker can handle it all. If you find yourself wasting a lot of time with repetitive Internet tasks, or if you just want to automate tasks on your phone, try IFTTT. The app allows users to create customized "applets" or tasks built around the structure "If this, then that" (from which the app takes its name). For instance, you could automatically receive your favorite team's recent results whenever ESPN posts them. IFTTT employs a wide variety of triggers and actions ranging from websites and apps to even other devices and peripherals. You can even browse through other people's trending and featured recipes. We help social media play nice together. Never tweet a link instead of a picture again. Apple Watch - Leave your phone at home and still track stats to stay informed and motivated. Named App Store Best of 2015. Bluetooth Connectivity - Wireless headphones and heart rate monitors make great workout companions. - Fitness Tracker Integration - Sync Pebble, Fitbit, and other styles in seconds. Running Groups - Create a custom challenge, invite friends, track each other’s progress, and use the chat to cheer each other on. Audio Cues - Choose from 6 motivating voices that you can customize to relay your pace, distance, and time. Training Plans - Make major progress by following a plan. We’ll be here for you every step of the way. Routes - Save, discover, and build new routes with GPS. Challenges - Stay motivated with exclusive workout experiences and rewards. Music - Keep moving with the music you love with our Spotify and iTunes integration. Partner Apps - Connect with other top health apps like Fitbit, MyFitnessPal, and more. Stopwatch Mode - Easily add indoor cardio (treadmill, cycling) and gym workouts to keep full exercise log all in one place. Social Sharing - Upload your activities and more with your friends on Facebook, Instagram, and Twitter. Prescribed Workouts - Get a weekly workout schedule tailored to you. Progress Insights - See how your runs stack up to each other and get a full view of your fitness journey. Live Tracking - Whether it’s training day or race day, share your location with family and friends. Weather Data - Look back the local weather for each tracked activity.